Stand Up Paddle Surfing: A race sponsor: www.buy-rash-guards.com supports the Everyman Racer... me! A race sponsor: www.buy-rash-guards.com supports the Everyman Racer... me! Wow, I'm stoked! Lori and the Buy-Rash-Guards.com family has decided to support part of my 2011 race season. This is great news because I plan on doing at least ten races this season in addition to the three biggies: The Hennessey's International Paddle Championships, The Battle of the Paddle and The Tahoe Nalu; for an Everyman Racer with an everyman real job- every bit counts. If I didn't have sponsors like Futures Fins (awesome stand up paddle race fins), Stamps Surfboards (great custom stand up boards), ProCam and Emerald City Surf Shop to help me out, there would be nobody out there to represent us commoners. So thanks BRG, welcome to the family- your help is greatly appreciated. If you've been following the blog for the last few years you may remember that BRG was the first company to submit a stand up paddle specific product for testing. That product was the Kore Dry, water repellent, UV protective, long sleeve paddle shirt. BRG jumped in quickly to support stand up paddle racing by donating four shirts to our Imperial Beach paddle team for the first and only Hennessey's River Race from Laughlin, Nevada to Needles, California. Those shirts literally saved our skin, keeping us cool in the hot sun and drying instantly when we fell into the chilly river. Kore Dry: Loose like a tee shirt and silky smooth... fall in the water and you won't be covered in a clingy cold wet tee shirt. Kore Dry shirts are popping up all over the place now, I've seen folks surfing in them at Dog Patch and racing in them at the Hanohano. I like to use mine when it's chilly out. 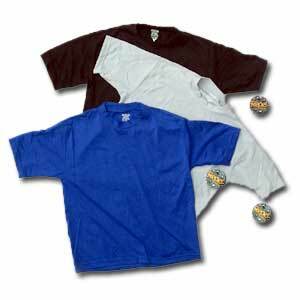 The shirt fits loose like a tee shirt, it's super light and non-binding (perfect for the paddling movement), is UV protective and, best of all, is hydrophobic so water beads right off of it. If you're looking for a highly functional piece of paddling outerwear, definitely check out the Kore Dry paddling shirt. Best of all, when you order your Kore Dry shirt from Buy-Rash-Guards.com you can type in the words PADDLESURF into the coupon area for a discount. Support the Everyman Racer in his 2011 Season... contact John@paddlesurf.net for more information.